Yggdrasil’s trilogy of Vikings slots games is a saga that continues to captivate us. The exciting battles against the demons and sorcery of the finest Old Norse poems has proved to be an experience well worth repeating. The theme of Viking warriors in search of exhilarating adventures might be the same in each installment but each of the slots games has its own distinct identity and qualities. Which leaves us gamesters with the chance to enjoy the thrills and spills of these adventurous online slots machines over and over! Named after the gigantic, mythical tree that holds the entire Viking universe together, Yggdrasil were bound to capture the spirit of the times. 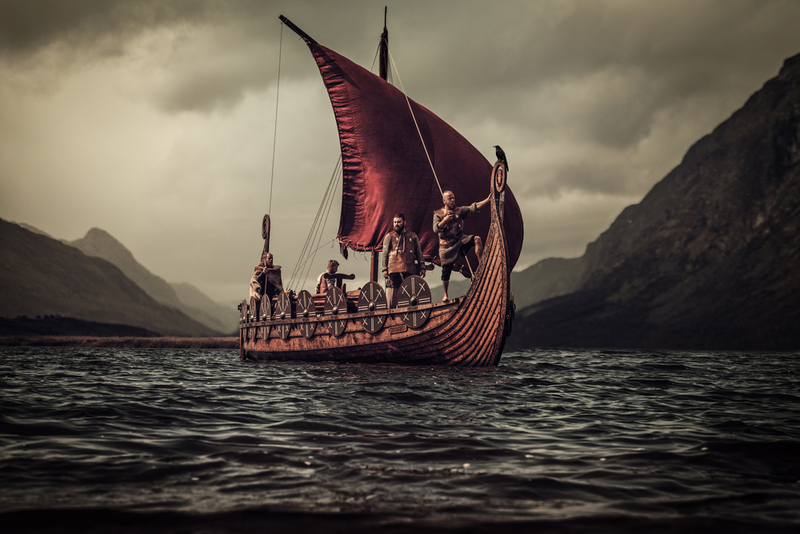 Wave after wave of Viking attacks has been let loose in the online casinos. Their first Nordic Warrior foray was with Vikings Go Wild which was released in August 2015. Hot on its heels was Vikings Go Berzerk in 2016. It took a while for them to recover before launching Vikings Go To Hell in May 2018. Like any good Viking, your main concern will be the size of the treasure that’s on offer. Common between them all is a minimum bet of 25 pence. They also share five reels and payout lines across twenty-five variations. There is a maximum bet of 50 pence. As for the winnings you can earn after battling monsters and demons in the Nordic cosmos, they turn out to be £250 for both Vikings Go Wild and Vikings Go Berzerk. The scariest of the trio, Vikings Go To Hell, hits the jackpot at £500. How Easy Is It To Win At Vikings Slots Online? The best online slot machines are those that at least give you a realistic chance of coming home with some plunder. The trilogy features similar levels regarding variance and Return To Player percentages. All three online slots games are set at high variance. The RTP is also similar with Vikings Go Wild and Vikings Go Berzerk steaming in at 96.1 percent. Once again, Vikings Go To Hell is slightly different with 96.3 percent. For every £10 you spend on your Viking quests, you should win around £9.60. All three Vikings online slots have excellent graphics with fast moving action and sound effects. You’ll enjoy the sway of the sea and the roar of the beasts with every single turn. But to determine how the play actually progresses, let’s take a look at each. Vikings Go Wild – A wild symbol can appear in place of any symbols except the free spin and lands you the highest payout. Three or more Free Spin symbols gives you extra turns of eight spins for three reels, sixteen free spins for four reels and twenty-four for five. If you land a Viking at this stage he becomes a sticky wild. The Treasure Chest allows you up to twelve free spins and the chance to bag 1000 coins. Vikings Go Berzerk – Once again you get extra free spins of seven, fourteen or twenty-one when landing the free spin symbol. During this feature you’ll be awarded a randomly placed bonus that includes Treasure Chests. These can be very rewarding with prizes of up to 100 coins in the regular chest or ten times more in a Golden Chest. Each time you win, the Vikings Rage Meter increases which means you can win even more. Vikings Go To Hell – You collect Rage points at the rate of 150 per Viking as your reels spin and you actually get to keep them between different sessions. Landing a Treasure Chest gives you an Epic of Good Tablet leading to extra Rage points and between 60 and 120 times your stake. There’s a Demon Fight feature and the chance to earn points against Lucifix and the Lord Of Chains. The Berzerk mode can reward you with a jackpot of 3500 times your stake. As the Vikings online slots games have been released, each has become more complex in game play and rewards. They all share common symbols such as Treasure Chests and both Wild and Hell include Rage meters. You can enjoy three very distinctly different adventures with entertaining, exciting play and a high rate of wins. But for that real Viking saga atmosphere, why not journey through each in succession?